Proper Pricing for your Services! 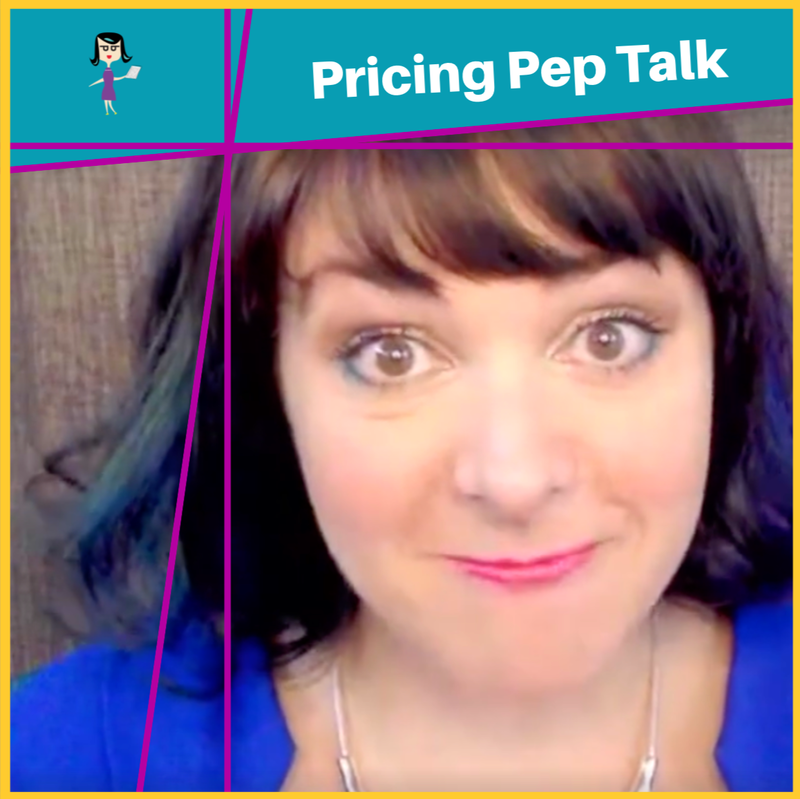 If you have struggled with making higher ticket offers, this pep talk is for you! Undercharging for your services can leave you stressed out and resentful. AND it prevents you from being able to support your clients because you are TIRED! In this vid I share 3 big mistakes most biz owners make when determining their fees and a clear 3 step system for determining a fee that you feel GREAT about. And, I invite you to an upcoming live video masterclass where you will learn how to increase your credibility, visibility, and the number of qualified leads you bring in. I want to see your tribe chasing you down with their credit cards! You deserve it! Step into your power – know the value that you offer and know that what you are providing is worth it. What do you need to afford the way you are living right now?What would you need to add to afford the life you desire? In those hours, what do you need to be making per hour in order to live the life you want to live? How much time does it actually take to deliver the products and services? Print off a pricing sheet! Write your pricing down or have a payment page set in place. It’s REAL, it’s not something you're making up in your head. Own the value, own the pricing, and know that it’s worth it! Yay! Here’s the link! http://www.LiveVideoMasterclass.com See you there! Dude, the question came from someone else – but soooo applies to you too! I love it! Yes! It seems natural to charge for delivery hours because that is how we have been trained to value ourselves at our J-O-Bs. But that’s not the mindset we want! I tend to way overdeliver and undercharge! Right!? You are sooo not alone! I’m totally doing this today. You are most welcome! Beautiful Infinity Dawn! Let me in …….. please! So glad you made it Kelvin! I LOVED this one Molly! I got so much value and confidence today! Love this! Yeah I need to write my stuff down for the various services…then memorize them! Right, I do work with them between calls, but I also THINK about them in the shower too! And other times, when a thought pops into my head and I go write it down in their file or send them a message. I used to just work any time I could and, left to my own devices, I will still just keep going. But NOW, I have a husband with whom I love to spend my time, so now I have a stricter ideal. Right, me too. I’ve simplified recently. Probably not as much as I need to! Yes, I find that an hour usually is too much, wears out both me and the client. I still offer an hour-long reading, but seldom do them. The half-hour is great. Remember, too, how much experience you have going into a session! I’ve been creating a lot of good-looking short ebooks with great value and info, so those are so easy to give away in exchange for an email address, Messenger contact, or as a bonus. I need to listen, re-listen and re-listen to this.